Qibla - direction for a Mecca for muslims praying. Vector isolated Islamic icons. `Allah [God] is the Arbiter of Success. Excellent is the protector, and Excellent is the companion`. Vector illustration. Muslim holiday Eid al-Adha. In the name of god art calligraphy on old paper. 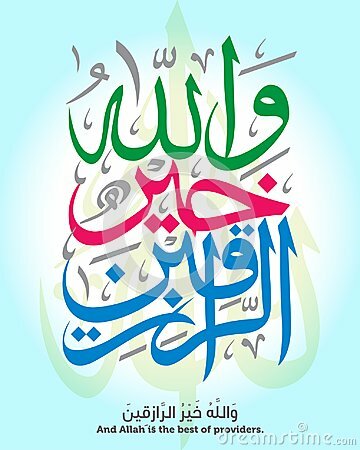 Text Translation: In the name of god the merciful. `Al Mawlid Nabawi Charif` arabic islamic vector typography.